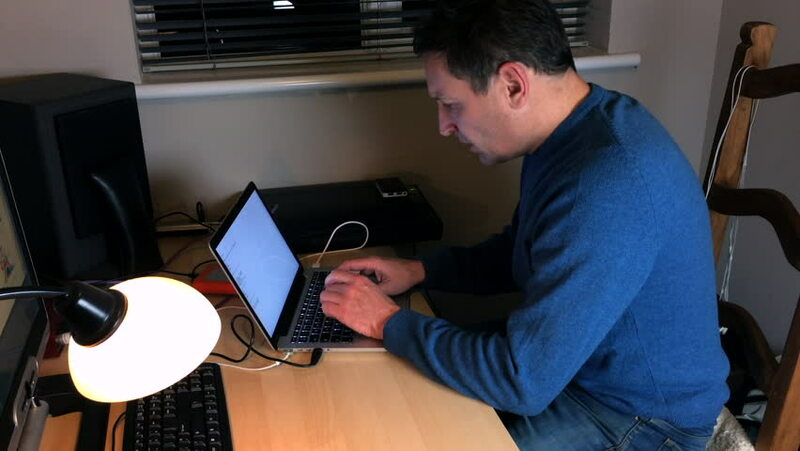 A man working from home in home office using laptop to type and edit a document and email. hd00:34A man working as a podcaster from home in a home office / studio, typing quickly on a laptop computer and preparing a podcast or explainer video. hd00:29Slow motion. 100 fps. Bicycle turned upside down and examined by its owner. A young businessman in a suit checks the work of his bike. hd00:09Close-up wide angle portrait of stylish business man with a beard. hard light in the eyes. hd00:19A man working as a podcaster from home in a home office / studio, typing quickly on a laptop computer and preparing a podcast or explainer video. hd00:13Computer nerd hacker program writer at work in the office surround by broadband and ISDN connections, drives and computer. hd00:131980s and 1990s style telephone with push buttons picked up, dialled and receiver replaced. hd00:15A computer programmer or hacker busy at work at night surrounded by streaming code on screen, ISDN and broadband connections and disk drives and wires. hd00:20Telesales sales person at desk in office with headset telephone. hd00:14A businessman, accountant or student working late at night on a computer in an office.